We’re huge proponents of keeping the water we have clean, safe and available for the next generation. Recently, news outlets have been looking into the way the Earth’s water is changing and how these changes will affect the future of our planet and those who inhabit it. One of the ways scientists have been tracking the world’s changing water is through glacial measurements. Unfortunately, the findings have researchers less than optimistic about the future availability of water in certain regions of the world. 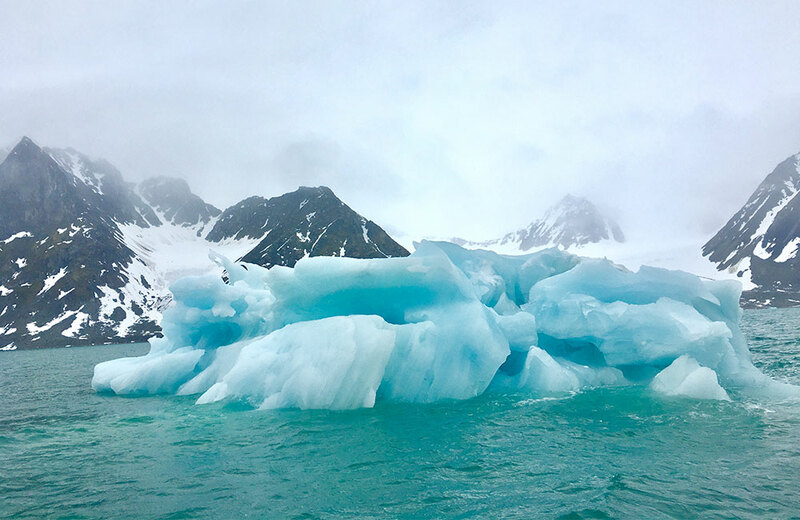 This week, we’re looking into a few reports on glacial changes around the globe and what the research portends for the future of clean water availability. What kinds of tests are being conducted? Scientists study glaciers all around the world to uncover the potential impacts of global warming on certain regions. An article published by the New York Times earlier this month focused on research conducted on Tuyuksu, a glacier in Kazakhstan where glaciologist Maria Shahgendanova and her team have uncovered concerning evidence about its future. Researchers measure changes in the glacier in a number of ways. The most common of these include measuring the thickness of ice to gauge net ice loss or gain as well as changes in the flow of streams which appear during seasonal melting. In addition to measuring ice loss and runoff levels, the team at Tuyuksu also tracks water composition in rivers leading to the nearby city of Almaty, the thawing of permafrost in the area and the rock fragments which makeup the landscape below the glacier. Scientists studying glaciers around the world also look into issues including the rising average temperature of the Earth, the concentration of certain atmospheric gases and the distribution of ice, salinity, levels and temperature of the oceans in their attempts to assess future glacial change. In Kazakhstan, the situation is dire for Tuyuksu. Scientists warn that while water filtration down the side of the glacier is steady now, that could change in as little as thirty years. “Peak flow” is the turning point at which a glacier is producing more water runoff than it ever will. After peak flow has passed, glacial runoff will slow and, eventually, stop forever. Scientists have postulated Tuyuksu could reach peak flow in as little as thirty years. This means rivers which receive water from the glacier will also eventually run dry. Unfortunately for citizens of the region, Tuyuksu’s runoff feeds much of the great river basins of Asia including the Indus and the Ganges. By 2050, researchers suspect much of the glacial water which runs into these rivers will halt, creating water scarcity in the region, and Tuyuksu isn’t the only glacier losing mass at an alarming rate. Glacial melt in the Himalayas is already affecting the surrounding areas, and the snows of Kilimanjaro are barely 20 percent of what they once were. Arctic sea ice continues to thin every year. The way ice forms and reforms on our planet is changing, and it’s resulting in a net loss of ice, higher sea levels and warmer oceans around the globe. If you’re thinking glaciers in Asia and Arctic sea ice couldn’t possibly affect you, a quick peek at a situation a little closer to home might just change your mind. In just over 100 years, Sperry Glacier in Montana’s Glacier National Park shrunk from more than 800 acres to less than 250 acres in size. On average, freshwater rivulets in the Northern Hemisphere melt nine days sooner than they did in the springtime 150 years ago and freeze 10 days later than they once did. Southern coasts in the U.S. are being swallowed up by rising sea levels with some areas—like the coast of Louisiana—losing a meter of coastline in the last century. Unless drastic efforts are soon made, the futures of many communities are at risk due the global crisis of melting glaciers. Stay up to date with the latest in water news via your friends at Quality Water Services. If you’re looking for cleaner, clearer water in your home, give us a call to talk about a residential soft water or reverse osmosis system installation. We’d love to get you on the road to high quality water.